The Rocky Mountains of Colorado are spiked with peaks, dozens of which exceed 14,000 feet elevation. 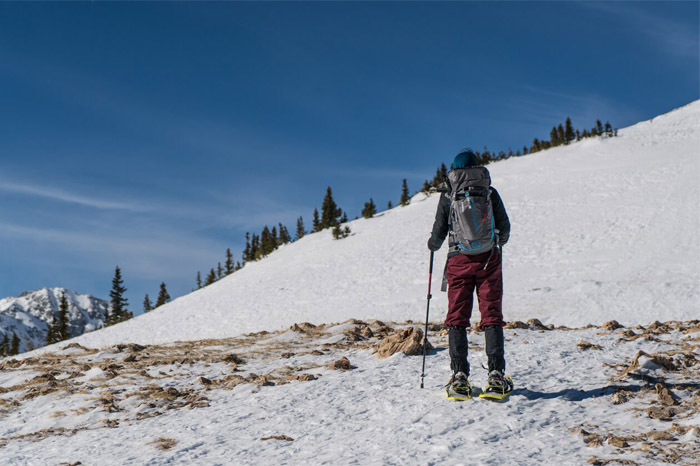 Hiking 14ers is a favorite pastime of locals and visitors alike, and while spring to fall are the most popular months to summit, winter hiking provides opportunities to push yourself and experience different gear. Active Junky recently spent time in Breckenridge, Colorado and hit nearby Quandary Peak, 14,265 feet elevation and a great starting point for winter 14er summiting. 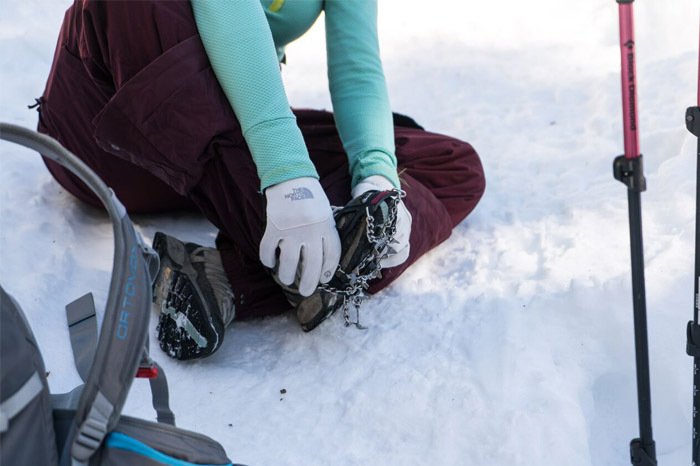 Using microspikes, snowshoes, and an avalanche beacon kit for safety, we hiked the 6.2-mile roundtrip over sunbaked icy trails and snowy ridgelines. Here’s part of the gear we used to bag our peak. Although fewer people frequent the Quandary Peak trail in winter months, enough foot traffic coupled with sun exposure during the day and freezing temperatures at night caused much of the trail to be icy and slippery, especially when steep. Kahtoola Microspikes $60.16 - $63.01 While not extreme enough to warrant full-out crampons, the conditions were ideal for Kahtoola Microspikes. 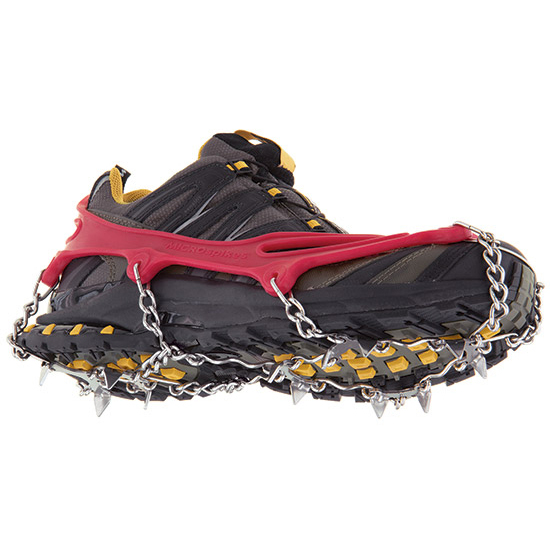 Stainless-steel spikes and welded chains are durable and rugged, providing solid grip on the frozen trail. A stretchy Thermoplastic Elastomer body makes it easy to slip them on and off your boots, and they don’t require any extra straps or attachments. Lightweight at only 11oz in the small size (13oz in the large), the pair comes with tote sack that packs down small enough to fit into your backpack or larger-volume pocket so they’re easily accessible as trail conditions change. When we broke above tree line, the path was less defined and walking straight up the snowy face was the most direct route to gain the ridge, making swapping out spikes for snowshoes the best option. 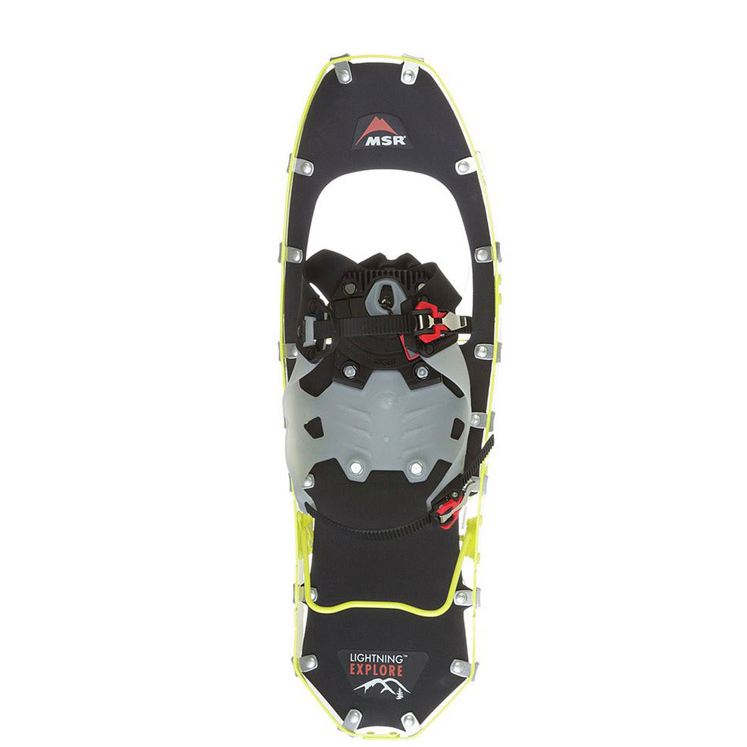 MSR Lightning Explore Snowshoe - Women's $179.96 - $197.57 MSR Lightning Explore Snowshoes come in both men’s and women’s models that balance weight and durability for aggressive pursuits. Dual bindings are easy to tighten and release, and come with a freeze-resistant attachment for when conditions get harsh. Spikes around the base of the shoe provide traction even while stepping, and MSR Ergo Televators step ups reduce fatigue when the pitch gets steep. The women’s model is lower profile and designed specifically for smaller gaits, with the 22in model supporting up to 180lbs while only weighing in at 3lbs 9oz for the pair; the men’s 25in pair weighs 4lbs and supports up to 280lbs. 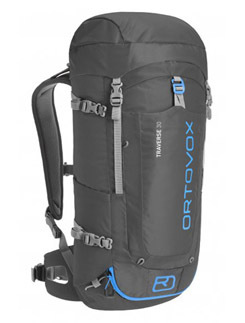 A reliable and appropriate volume backpack is a necessity when hiking no matter the season, and the Ortovox Traverse 30 mountaineering model was designed for hikes like this. In milder seasons, 30 liters is a lot for a short hike, but additional gear and layers can be crucial if conditions become unpredictable, like if a white-out storm rolls over the ridge. The Traverse 30 offered enough room to stuff an extra midlayer, windproof shell, insulated jacket, gloves, Microspikes, goggles and trail snacks. Testers appreciated the L-shaped circumferential zipper for easy access to items in the bottom of the pack. The size and length were perfect for strapping on snowshoes, avalanche gear and trekking poles when not in use, and a built-in rainfly is handy in case the weather turns. But we were fortunate to have blue skies all day. If you are planning to climb a 14er in the winter, you need to be warry of the ever-present danger that summer hikers are not concerned with – avalanches. 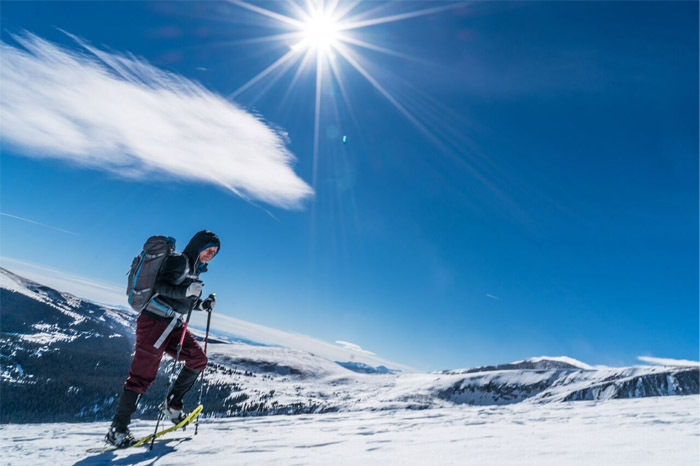 Many summer hiking routes cross avalanche paths that you need to be aware of, and route finding and snow evaluation skills are crucial to staying safe in the winter. In the event of an avalanche, having the proper equipment and the knowledge to put it to use is essential. 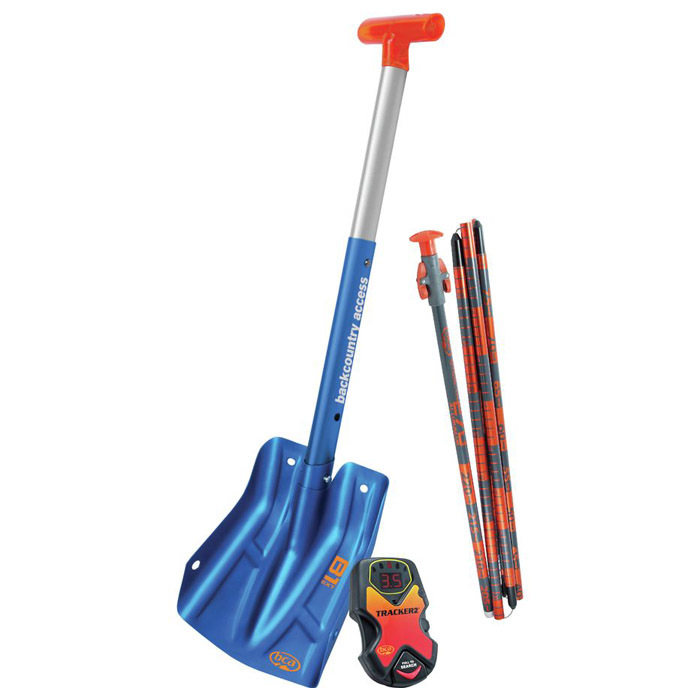 This kit from Backcountry Access gives you everything you need in a rescue scenario. The BCA Tracker 2 avalanche beacon has been a favorite among backcountry users due to its ease of use and reliability. The shovel and probe in this package are not the lightest or most compact, but they certainly will get the job done. But this gear will not be as effective if you do not practice – get out there and do a mock rescue so when the time comes, you are prepared to act quickly and efficiently.